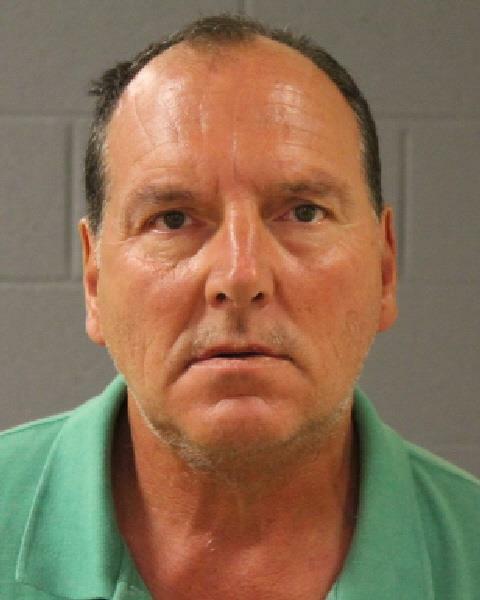 ST. GEORGE — A man staying in a St. George motel was arrested Friday morning after calling 911 no less than five times in two hours requesting emergency services for a wide variety of reasons, including a ride to California. Just before 9 a.m., officers were dispatched to a citizen assist report at Motel 6 located at 205 N. 1000 East, according to a probable cause statement filed by the St. George Police Department in support of the arrest. (Ursich) reported that he wanted to be arrested and transported to California. During the five 911 phone calls placed between 9:34 a.m. and 10:37 a.m., the report states Ursich called 911 dispatchers racial slurs and reported that he was lost and needed help, that the water at his motel was contaminated and that he needed an ambulance because he was afraid of being too hot. “(Ursich) then called to report an ambulance crew was there to burn him alive,” the officer stated. When police arrived at the hotel after the fifth call, Ursich could be heard in his room screaming before coming out and telling officers that “everything was OK,” according to the statement. “There was no indication that ambulance personnel were on scene or that someone was attempting to burn him,” the officer reported. Ursich was placed under arrest for 911 abuse – falsely reporting a crime – and transported to the Washington County Purgatory Correctional Facility. St. George Police Officer Lona Trombley said Thursday when people misuse the 911 system, the unnecessary calls may place a strain on dispatchers and place callers who have an actual emergency at risk. To quote our dispatch motto: Dispatchers save seconds, seconds save lives. Friday wasn’t the first time law enforcement has dealt with Ursich misusing the 911 system. According to a report by the Daily Breeze, California court records showed Ursich was convicted in June 2011 of making a false bomb report, and that his record includes arrests or convictions for driving under the influence, reckless driving, theft, indecent exposure, lewd conduct and vandalism. 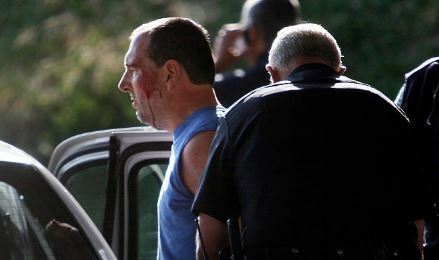 Ursich was arrested in October 2011 after he led police on a car chase through city streets in San Pedro, according to the Daily Breeze. Ursich was at the center of another chaotic scene in September 2016. KTLA 5 News reported that Ursich was the driver of a suspected stolen-vehicle during a high-speed police pursuit and eventual standoff with officers on an overpass in San Bernardino. Call uber and get this guy back to Cali. AGREED ! NO more yuppie-duckies in my state! This guy is clearly mentally ill and needs help. I hope he’s able to get some, both for his sake and those around him. This guy needed to go for psychiatric evaluation, not be arrested with his name printed along with his photo. What is wrong with having a heart about these situations? He is obviously mentally ill. I don’t think jail or prison is where this guy needs to be. CA yes but not in jai or prison. Joseph of California. OF COURSE ITS a GUY from CALIFORNIA! THE STATE OF WILDFIRES! Joe is my cousin. He has suffered from mental illness since childhood. He’s been on psych meds since about the age of 7. Due to cutbacks in our mental health system, Joe has been off treatment and meds for a period of time. Without the meds, he becomes paranoid, accusing everyone including family members of trying to kill him. His elderly parents have spent a large portion of their retirement income trying go get him help. Our psychiatric system doesn’t provide what’s best for everyone, housing Joe in a long term care facility where he will be safe and moreover, not harm anyone else. His parents have pleaded with judges to sentence him to a facility. The criminal justice system continues to see Joe as a criminal instead of a patient. Prior to this most recent event, he’d never been to Utah. He literally just jumped into a car one day and started driving. He didn’t stop till he got to Utah. He called his mom, said “I’m in Utah. I don’t know how to get home” She told him to go to a police station and ask for help. He was denied help….the rest you can read above.